Here the brand known for chocolate Kisses transforms itself as a Hershey’s Heart-Shaped Valetines’s Day Treat. Very possibly you could give both as a demonstration of extra affection. Hershey’s reinventing itself for the Holiday is very smart marketing. Particularly since traditional conversational, message-imprinted Candy Hearts are not offered this year. 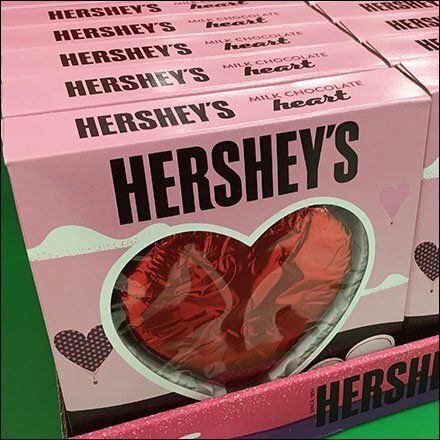 In the words of a famous personality :Sad, so Sad” This Hershey’s Heart-Shaped Valetines’s Day Treat offering yours ar Target.